I would never have noticed the little brown job if it hadn’t “tuck-tucked” from a bush just after I walked past it. I turned around, got my bins up, and was entertained to see a tiny brown bird with an even tinier upturned brown tail scolding me. This is a bird that weighs about eight grams, less than 1/10,000th of what I do. Yet it was daring to take exception to my presence and letting me know that I was unwelcome in no uncertain terms! Of course by now you know what bird I am referring to, especially if you have bothered to read the title of this blog post. 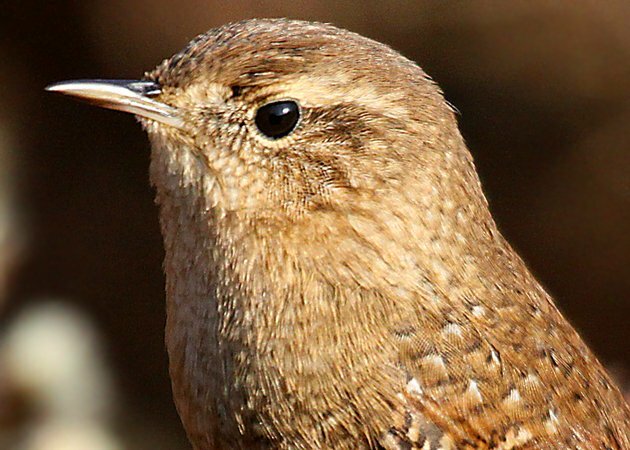 It was a Winter Wren and it, for whatever reason, did not like the fact that I was present! 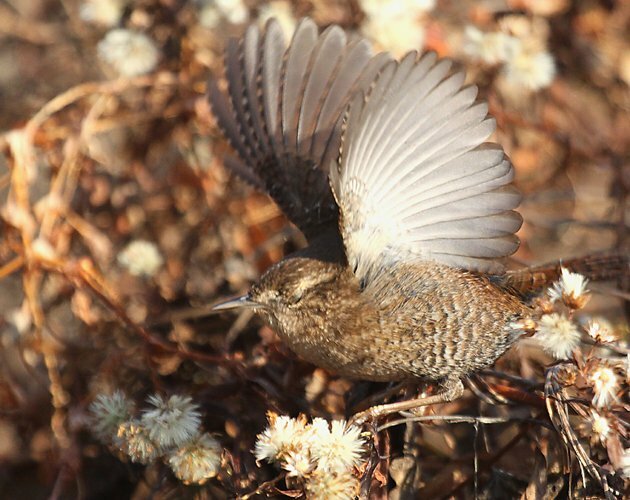 I moved to where the sun was behind me and some low bushes were in front of me, spished for a bit, and the wren charged over and proceeded to put on a show. I have no idea what made this particular example of Troglodytes hiemalis so aggressive but I took advantage, tripping the shutter of my camera over three hundred times! 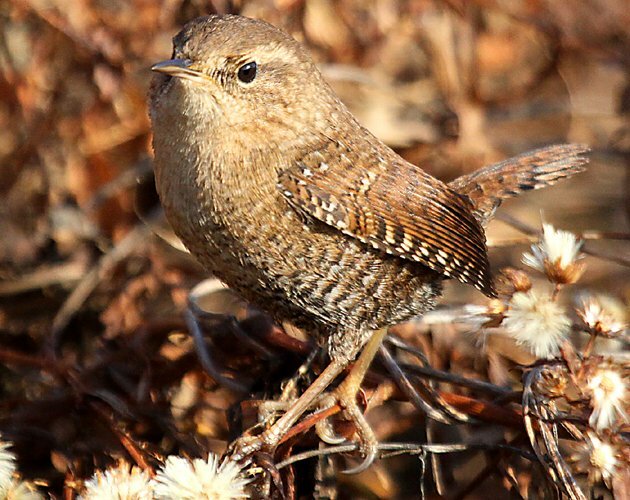 Do you think this Winter Wren was cooperative? The wren made itself as tall as possible but for some reason I wasn’t intimidated. 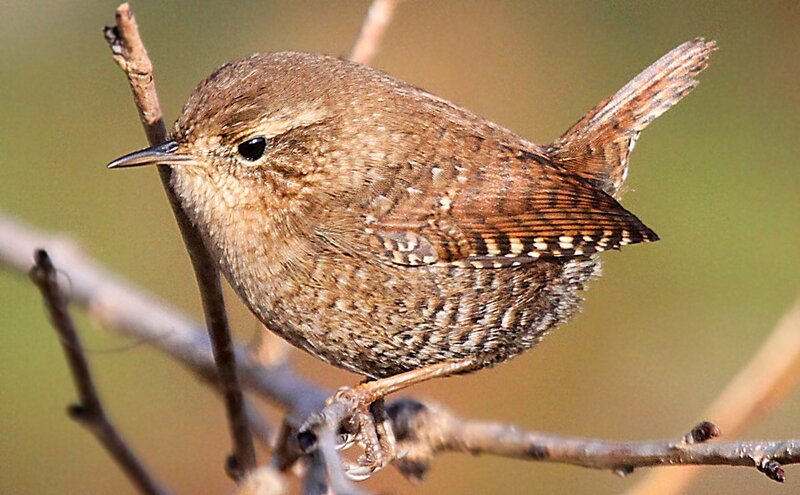 Several times the Winter Wren would flap its wings without taking off. A dominance display? 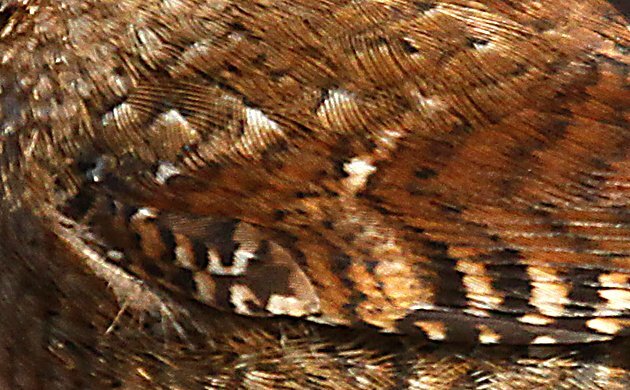 I included this just so you can get an appreciation for the exquisite detail in the wren’s feathers. What a spunky little bird! 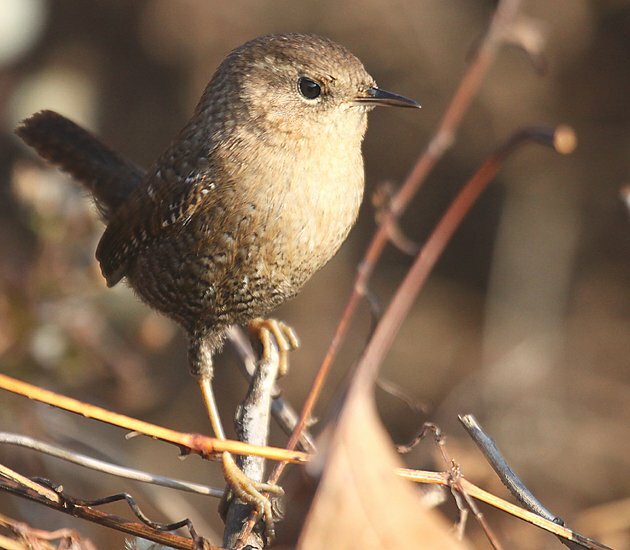 I hope you liked these shots of a Winter Wren. If you want to see more great images of birds check out our big and growing page of photo galleries, 10,000 Clicks! You should have felt intimidated. 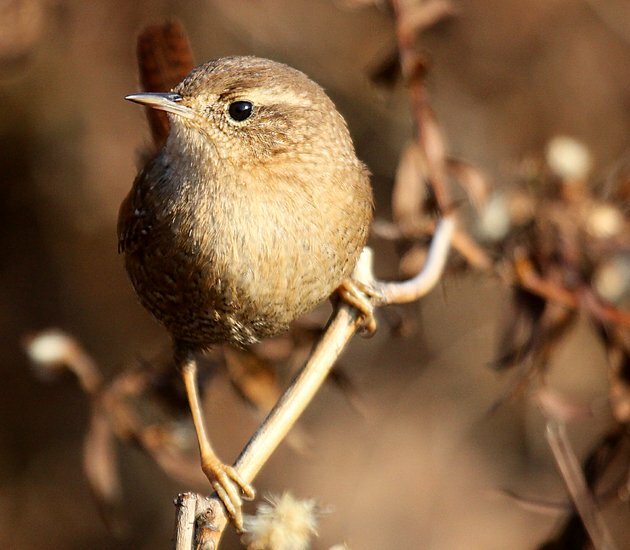 You may not know it, but that wren could have killed you right away if it had wanted to. That’s the only creature Chuck Norris wouldn’t dare to argue with. Great photos! 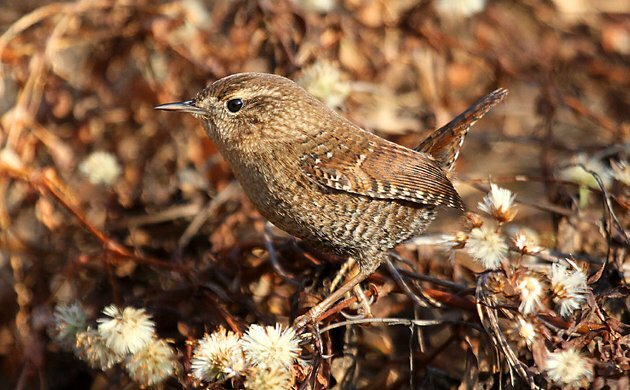 Out west it’s now called a Pacific Wren, and it’s one of my favorite birds on the Olympic Peninsula. They serenade you in the deepest forest, and then surprise you popping up on driftwood on the beach. I’ve never seen that wing flapping.